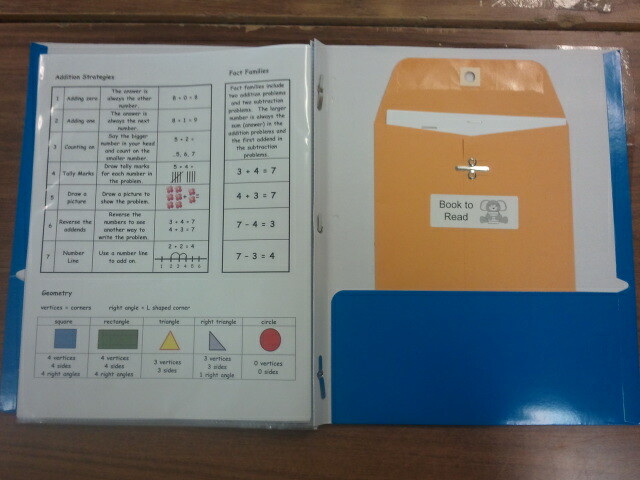 Inside each pocket I hot glued an envelope for them to keep their materials in. 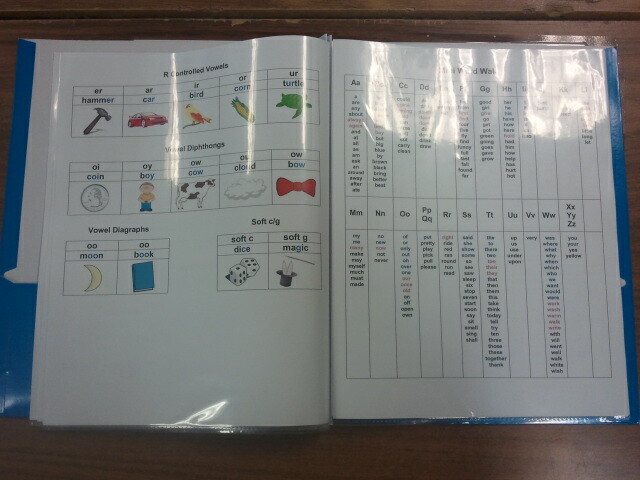 One is for spelling words and the other is for the book they are reading. My homework is on a weekly basis, due each Friday. 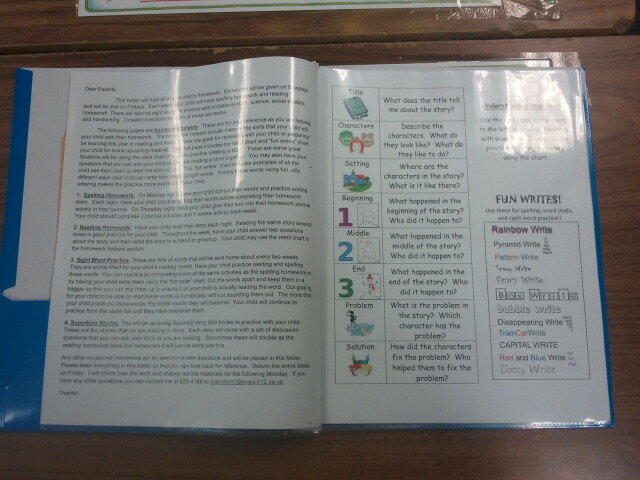 For homework, my students have to complete three activities with their spelling words and answer two questions about the story they read each night. 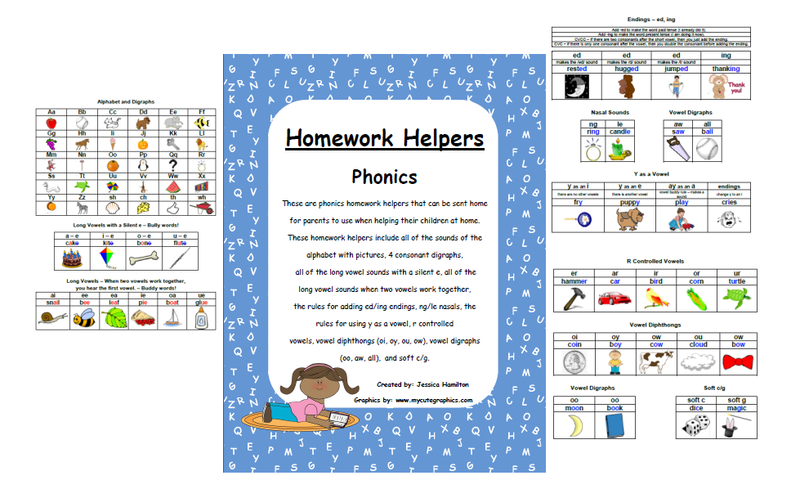 I have included a homework helper with a retell chart for parents to look at and questions for parents to use when reading with their child. 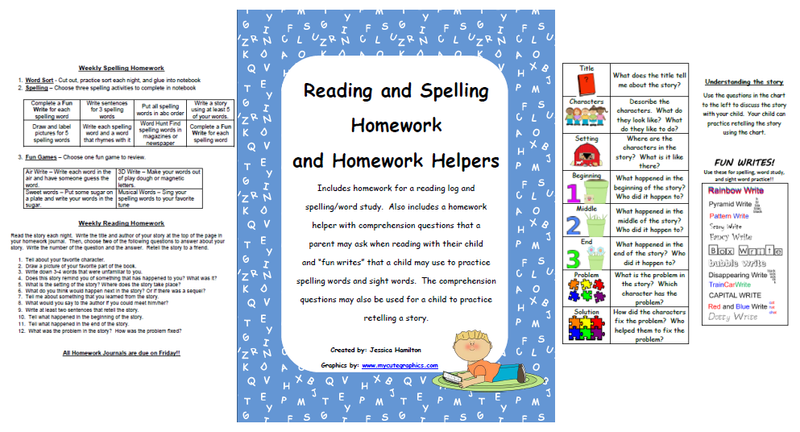 The homework also includes a variety of "Fun Writes" so that students can practice writing their spelling words in a fun way! 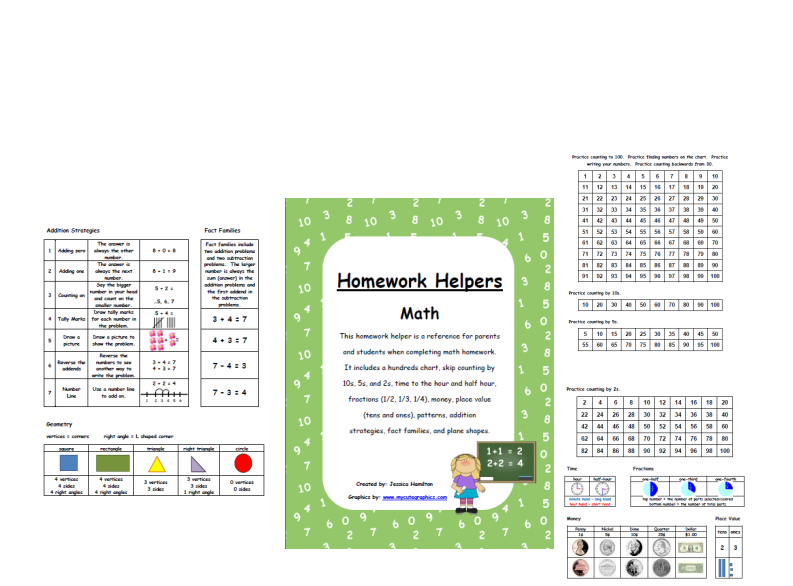 You can get a copy of my homework and this homework helper at my TPT store. 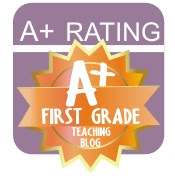 The phonics helper includes alphabet sounds, digraphs, short/long vowels, vowel digraphs, adding ed/ing endings, y as a vowel, r controlled vowels, and more. 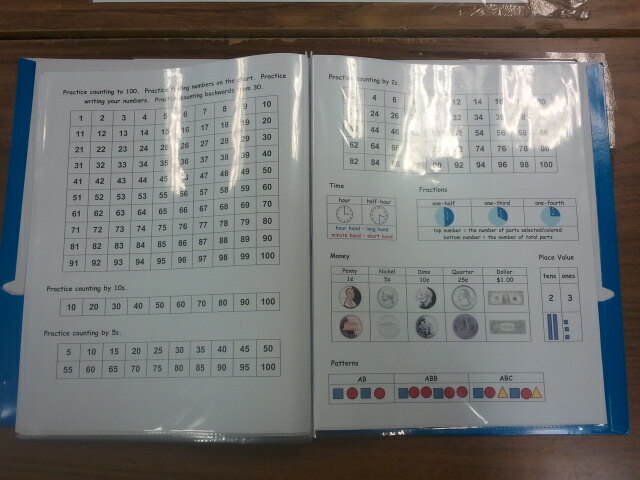 You can get a copy of my phonics helper here. 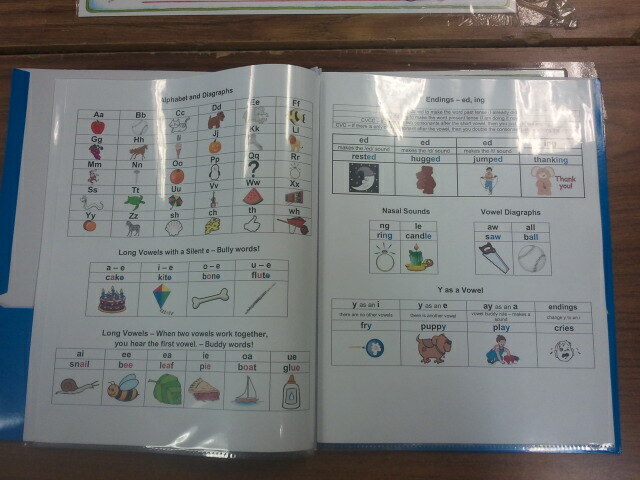 Here is the last page of my phonics helper and the mini word wall helper. 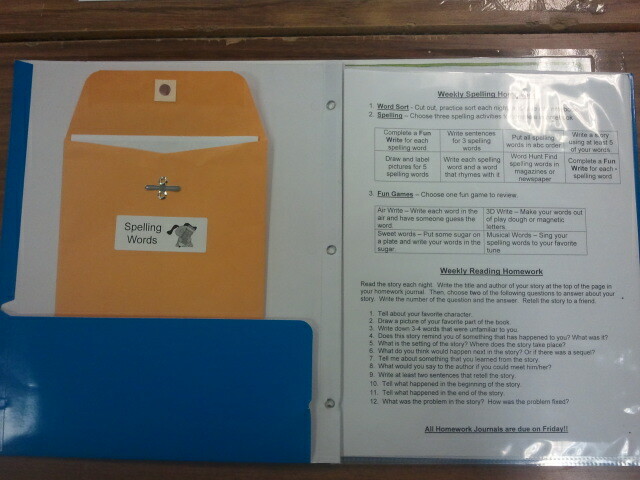 The mini word wall includes all of the Dolch words and is a great reference for students when they are writing at home. 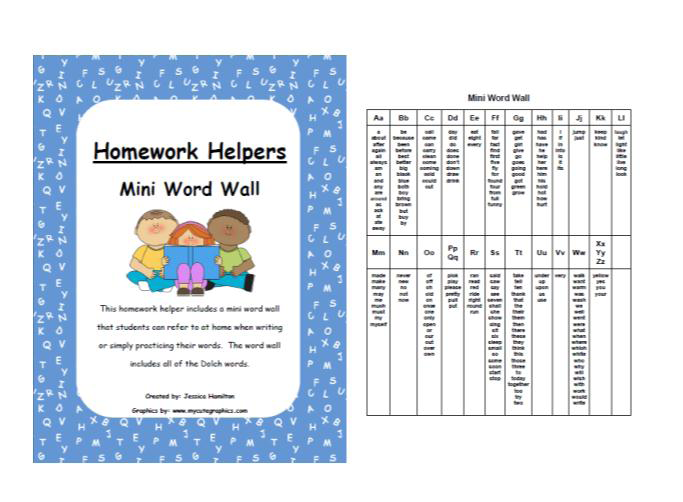 You can get my mini word wall helper here. 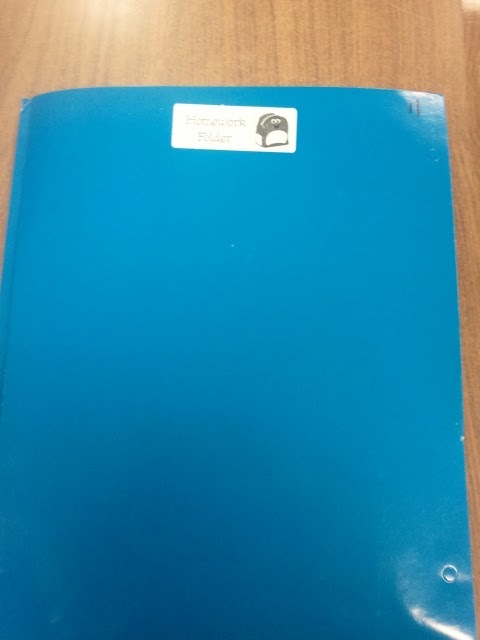 I have also included my math homework helper. 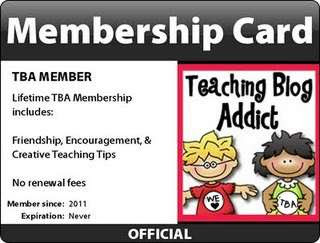 It includes many of the basic math skills for first grade including some addition strategies. You can get a copy here.